I’m going to open up quite a bit in this post and share some experiences in my journey that may be quite controversial for some people. As a disclaimer, BY NO MEANS, do I feel that everyone should follow in my footsteps and do the same things as I did. My situation is unique and required some unique adjustments. However, my experience has truly opened my eyes to the realities of food, food culture, and the true purpose of food as fuel and nourishment, and how this concept has been sadly lost in today’s society. I want to share these discoveries so that maybe others can use this information as their perspective on food and nourishment shifts, as well. I have felt for a long time that food can be a major player in moving you either towards or away from wellness. My own health issues that developed years ago spurred this realization that food has the power to either heal or destroy the body. You can read more about that story here. My changes to diet back then included eliminating gluten and dairy products. Many of the issues I was dealing with completely resolved by adjusting my diet in this way. Many issues, but not all. I didn’t understand 15 years ago that gluten-free treats aren’t any better than regular packaged, processed treats. I believed it was a simple sensitivity issue, and so by eliminating those foods, I could continue to enjoy how I ate before, but in an “alternative” way, with gluten-free flours and dairy milk alternatives. The immediate change of going gluten-free and dairy-free felt miraculous to me. It sparked me to continue my education and learn more about nutrition and the body. Since that time, I have made it a mission to teach others the why’s and how’s to make better eating choices to improve the quality of life. However, learning is a journey. We can’t know it all right away. My personal experience is living proof of this. Anyone who tells you they know everything there is to know about diet and wellness, or anything for that matter doesn’t. Our personal biases can prevent us from seeing things. The biases of the institutions and the people teaching us can prevent us from learning things. 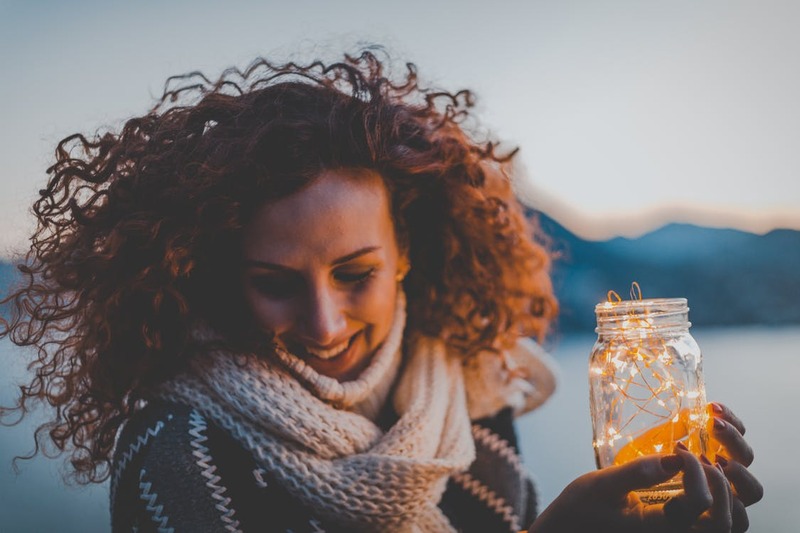 Life experience or lack thereof, and our own personal growth journey can prevent us from integrating everything that comes to us, even if it’s staring us right in the face. New information gets discovered. Old information that was hidden, buried, or lost gets found again. Old beliefs that we thought were true get disproven. Old beliefs we thought were false are found to be true. This is one reason why textbooks keep getting rewritten, new editions are constantly published. Old editions become outdated. I changed my diet 15 years ago, which changed my life, both physically and mentally. It improved my wellness, and my new discoveries gave me the drive and focus to help others improve their own wellness. Until it didn’t help me. Fast forward to a couple of years ago, when a series of events which I won’t get into in this article, triggered some serious flare-ups and illnesses that would not let up. My gluten-free, dairy-free diet was no longer cutting it. I was sick, and I was getting sicker. It’s in my nature to research, so I went to the research and the Google to try to figure out what was going on, and what I could do about it. After some initial searching, I put some pieces of the puzzle together that led me to believe that an autoimmune response was likely at the bottom of all of this. So I decided to try a particular dietary approach called the Autoimmune Paleo protocol (AIP). This is a more restricted form of the paleolithic (paleo) diet. The paleo diet, which is thought to simulate our hunter-gatherer ancestral roots, is based on food choices that would have only been available before the advent of modern food processing and agricultural farming techniques. Therefore, this diet contains no dairy or any grain or cereal products, nor does it contain legumes or cane sugar. It is believed that these foods are also common culprits of immune and inflammatory reactions, due to various components and proteins found within the foods, such as lectins. The AIP diet takes the principles of this paleo diet a step further, and during the elimination phase, other foods which can often trigger immune responses are also eliminated, including all nuts and seeds and seed-based spices (including coffee and chocolate! ), the nightshade family of vegetables (like potatoes, peppers, tomatoes, eggplant), eggs, and more. I dove into this diet and had all intentions of strictly adhering to this way of eating. At first, I experienced some improvement in how I was feeling. However, this feeling didn’t last for long. I discovered hundreds of blogs filled with AIP recipes. So many alternative recipes for bread, desserts, and snacks. I was so excited to make them all! I was delighted to be able to continue to be a foodie while on this extremely restrictive diet. While these recipes didn’t contain gluten, dairy, grains, nuts, seeds or cane sugar, they did contain many highly starchy and sugary items like tapioca starch, plantains, cassava, dates, honey, maple syrup, and more. I was addicted to plantains. I ate plantain everything. Plantain chips, plantain bread, plantain brownies. Cassava cake. Tapioca starch roti with AIP compliant curry. I got worse. Much worse. I felt like I was dying worse. I was eating an abundance of vegetables and meat, I was following the rules of the diet to a “T”. One of the caveats of the diet is to eat a huge quantity of vegetables. At least 10 to 12 portions per day. Many proudly claim as AIPers that they eat more vegetables than a vegetarian. I abided. I loved vegetables, so this wasn’t a problem with me. I enthusiastically filled my plate with 12 servings of vegetables per day, for breakfast, lunch, and supper. All sorts of vegetables: cauliflower, Brussel sprouts, broccoli, zucchini, mushrooms, spinach, arugula, radishes, bok choy, carrots, turnip, squash, sweet potato. Lots and lots of sweet potato. Oh, how I loved sweet potato. Back to my feeling worse. It was an experience worse than any I had ever experienced in my life. Chronic fatigue, dizziness, nausea, weakness. Every joint in my body ached. Weird rashes were cropping up all over the place. I used to participate in running races and triathlons back in the day, yet during the course of my worst year, I often felt as though I would faint while walking the dog down the street. This was NOT normal. My blood sugar was normal. My CBC was normal. So my doctor said I’m fine. As a side note, autoimmune conditions can take an average of ten years before they are discovered and diagnosed for this very reason. Because the basic surface tests to look for overt major complications were normal, I must be fine. This, unfortunately, is a common theme in the health care system, and why so many that suffer from autoimmune conditions go for years begging for help with no avail. Part of the physical issues I was experiencing was severe digestive distress, including bloating that would make me look like I was 7 months pregnant whenever it occurred. I have a collection of maternity pants because of this. No joke. It was that or go pantless during episodes. Sometimes you gotta get on with life so maternity pants it was. Because of the intestinal distress I was experiencing paired with a family history of colon cancer, my doctor finally agreed that a colonoscopy might be in order. So began the test prep. This doctor had a very unique protocol for test-prepping that involved a very particular diet that needed to be followed for 3 days prior to the test. This diet was a “low residue” diet that included only meat and white bread. Absolutely no fibre was to be consumed for 3 days prior to the colonoscopy. Since I didn’t eat wheat and I had no intention of starting, I ate only meat for 3 days. It was like a veil of suffering had lifted from me. The dark cloud of illness raised from my shoulders after the first day of this meat-only regime. I didn’t understand what was happening at the time, I just knew that I hadn’t felt this good in well over a year, and I wondered why. For 3 days, even though I had gone through a rigorous and unpleasant cleaning-out process for the colonoscopy, I felt amazing. And then I went back to my meat and 12 servings of vegetables regime after the colonoscopy, and slowly that dark cloud of heavy, inflammatory pain reset upon my shoulders. I wondered about this experience eating only meat. I went to the Google to see if this could be a thing. Turns out, it is a thing, and apparently, it’s a pretty huge thing. There is a large community of people who eat only meat, and many call it the carnivore diet. When I started looking at the information online, the movement that exists today was really only beginning to blossom. There is a medical doctor named Shawn Baker who spear-headed the huge growth surge in the community, and apparently, I started looking at this just as he was starting to get his portion of the movement rolling. I was skeptical and dubious. Who can survive on only meat? How is that possible? Don’t we need carbohydrates? Don’t we need fibre and vegetables? It seemed very strange to me. So I put it aside for a while. And got sicker. I decided to take a step back from all the AIP dessert and bread recipes. Perhaps that had something to do with what I was experiencing. I cut out all plantain, coconut, tapioca, and cassava. I stopped making treats, and focused only on meat, fish, and 12 servings of vegetables. I still consumed sweet potatoes and squash, and the occasional date was my comfort food. I felt I couldn’t live without sweet potatoes. I got sicker. During this time I was diagnosed with endometriosis, which, as a side note, just like autoimmune conditions, takes an average of 7 to 10 years before it is typically discovered and diagnosed. For me, it was likely a lifetime. It turns out as well that those with endometriosis have a higher propensity for developing autoimmune conditions, as well as other conditions, such as asthma, allergies, and a condition called small intestine bacterial overgrowth (SIBO). That is another topic unto itself. I continued with my research from my bed. I needed a solution. I was getting even worse. I looked at a more low-carbohydrate way of eating. I wondered if FODMAPS were aggravating me. FODMAPS stand for specific carbohydrates that are found in certain foods that for some people can be aggravating to the digestive system. So I altered the AIP protocol and ate a low-FODMAP, low-carbohydrate diet. I was eating meat, fish, offal, and ten to twelve servings of low-carbohydrate, low-FODMAP vegetables. I wasn’t getting any better. So I decided to go back to looking at that weird meat-only community again. By this time, several months later, the community had started to grow. There was more information available on the Google than there was when I first looked into this thing. Shawn Baker had started to advertise for a challenge he was starting on January 1 called the carnivore challenge. Try eating only meat for 30 days and see how you feel. I resisted at first. We were in December, and I was limping through the holidays. It wasn’t because I drank too much, because I hadn’t touched alcohol in 1 year at that point. So on January 1, 2018, I decided to start the carnivore challenge. It took two days. TWO DAYS and that dark cloud of illness, fatigue, pain, and misery lifted. I was able to get through a whole day without having to go back to sleep. My joint pain disappeared. My headaches went away. I was able to think again. The bloating stopped. The weird rashes improved. I could take the dog for a walk without fear of fainting. The constant nausea resolved. It was like NIGHT AND DAY. Look, I’m still trying to figure this all out myself. This is not a write up to convince people to go carnivore because I truly don’t think that this is the answer for everyone. But I’m not done here even though I have rambled on for some time; I haven’t gotten to the whole point of the story. So things just kept getting better and better for me as I maintained this carnivore way of eating. Certain things associated with endometriosis never improved, and I’m still dealing with those issues as we speak, but a huge chunk of the other issues completely went away. Something else that changed for me that I didn’t expect was a complete overhaul on my perspective about food. Being separated from what the majority of society is eating really opened my eyes about a few things. Having detached myself from any modernized “food-like” items and treats really changed my relationship with food, as well as my hormonal responses. I stopped getting sugar rages, I quit needing snacks to keep me going between meals. Those blood sugar highs and lows completely disappeared. The need to snack every few hours became a thing of the past. I just didn’t need to anymore. I ate until I felt satisfied, and I felt satisfied until the next meal, which was several hours later. It’s still that way today. Most of the time I eat two meals a day now, with 6 hours between meals, and I have never felt more stable metabolically and hormonally in terms of blood sugar and hunger levels. What is more significant is what I began to see around me. Being detached from the food system, I started to notice other people’s responses and reactions to food, especially processed food. The reactions of the people around me were interesting to observe. Shock and awe at family dinners that I wasn’t participating in the side dishes, extra bread, potatoes, corn, heaping seconds, dessert with ice cream, and sweetened soda pop on the side. I could see the enjoyment as they ate their meals, but it was enjoyment despite the pain. They were uncomfortably stuffed, yet they continued to eat because they wanted more joy. Transient joy, that disappeared as soon as the mouthful was swallowed. I used to do the very same thing. I never noticed before BECAUSE I used to do the very same thing. Now that I was detached from all of the modern processed drug-like foods, I was no longer under the spell. I could see it, in all its entirety. And it’s scary. And sad. And frustrating to see my loved ones entranced. Because I can’t do anything to change them. They have to want to change themselves. All I can do is inspire others to change. But not everyone will, and it’s not my job to make them. Unfortunately, most won’t make any major changes or have any eye-opening perception changes unless they have some significant event happen to them that forces them to change. Usually, this is some sort of illness that forces them to change their diet and lifestyle to prevent an otherwise grim outcome. I can see the control junk food has on people. There is a pull towards these items that I cannot explain. People cannot get enough. I think it’s partly hormonal, partly neurotransmitter, and partly emotional reactions. I’m still trying to wrap my head around the whole thing, but my own experience of going carnivore seems to have pulled me out of the matrix of junk-food mind control. I’m slowly reintroducing some choice vegetables one at a time to see how my body reacts. There are a few that seem to be ok; at this point cucumber, peppers, and strawberries are the most easily tolerated. There are quite a few vegetables and fruits that are definitely a no-go for me at this point. I have some theories as to why some vegetables may be more tolerated than others, but that is a topic for another day. This has definitely been quite the learning journey for me, and I’m still figuring it all out. It’s still very much a work in progress. I can say, however, that my eyes have been opened about so many things, and my journey into the research has taught me so much more detail about the biochemical responses in the body as a result of the foods that we eat. We are a big container of countless intertwined biochemical processes, which I feel is a miracle that needs to be respected. What we put in or don’t put in our bodies can significantly impact how these biochemical processes are carried out, and as a result, how our bodies perform and serve us. In sharing this story, do I think everyone should follow the same drastic dietary changes that I did? No. But I do think everyone can benefit from the lessons I learned from the experience. What are some lessons I learned? 1. Food is fuel, not entertainment. It feeds a series of biochemical reactions that affect every cell of the body. Our food choices can either promote optimal function or can down-regulate those processes, creating imbalances and even illness. The power to choose the outcome of those biochemical processes is yours. The first step is Awareness. 2. Be aware of what’s in your food. Always read the ingredients, or choose foods without ingredients because it’s a whole, unprocessed food. Educate yourself on the ingredients, what they mean, and how each ingredient affects the body at the cellular and biochemical level. Knowledge is power. 3. Most food companies have their pocketbooks as their priority. They will print whatever it takes on the label to convince you that their product is the best choice for you. Unfortunately, this is often smoke and mirrors. Don’t be fooled by claims on labels. Read the ingredients and nutritional information. Understand what’s in your food. Now, I still have the occasional treat. But the key word here is occasional, and my taste buds have changed so much that a treat does not mean the same thing as it once did. Now, 85 and 90% chocolate is my sinful sweet treat. Treats don’t contain the nutrients your body needs to maintain those biochemical processes, they just activate neurotransmitters making you crave more. Unfortunately, most modern treats contain nothing but empty calories that will create insulin imbalances, activate hunger hormones, and send you on a physiological and emotional roller coaster of cravings and sugar highs and lows. What your body needs are nutrients, which are found in whole, unprocessed foods. It is these nutrients that power those biochemical processes. Without them, you can run into serious trouble. A good first step if you want to make adjustments to your food choices may be asking yourself what’s more important? Feeling good, or the temporary enjoyment of that treat? Maybe you will still choose the treat. The key is to start paying attention when you do choose that treat: when you eat it, does it make you feel better? If it does, for how long? Once you no longer feel better, how do you feel then? Really take note, and you may be surprised at what you discover. You may not make huge, drastic changes as I did, but every step counts, and can make all the difference. It all starts with awareness. Start paying attention. Take note, learn, and understand. The more you become aware, the better equipped you will be to be able to make the best choices for yourself, your body, and your situation. Every positive change, no matter how small, is better than no change at all. When you make positive steps towards eating better and living better, you can begin to feel better. This helpful & informative book + course will teach you step-by-step how to crack your sugar habit so that you can start losing weight, feel more energetic, and more confident about your food choices. Fill out the form below to get your book and start your FREE course! 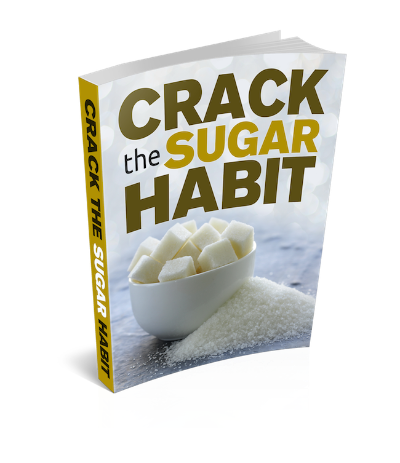 You have successfully subscribed to receive your FREE Crack the Sugar Habit ebook and mini ecourse. One more step: Check your email and confirm your subscription. You will then promptly receive your requested items! Add michelle@wellbalance.ca to your email's whitelist or contact list, which can be done in your email settings. This will ensure you don't miss an email! Remember to check your spam and promotions folders if you don't receive your first email lesson.